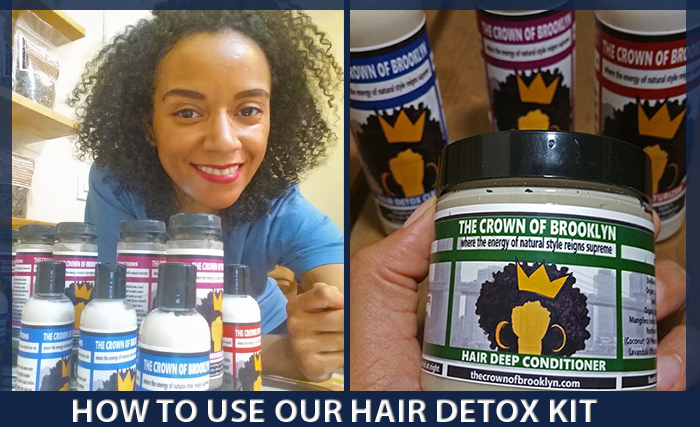 The Crown of Brooklyn Hair Detox Kit was designed to detoxify the scalp & add minerals to the hair follicles to optimize hair growth. I want to take you through the steps I use when I apply the kit to help you maximize your product experience. 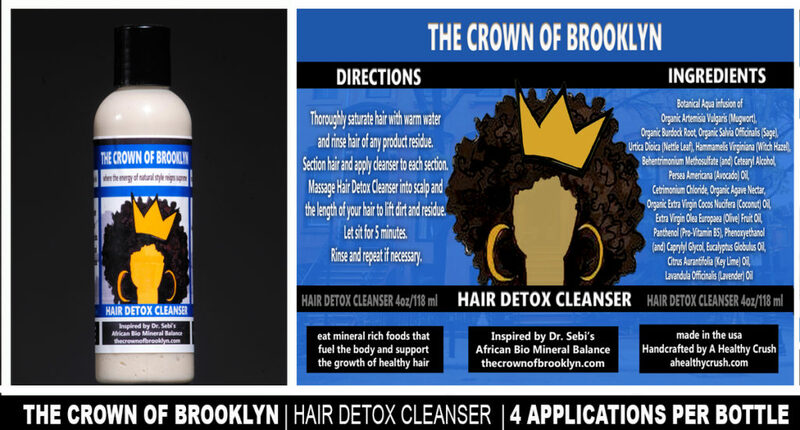 If you have additional questions after reviewing these steps, please reach out to us at keelo@thecrownofbrooklyn.com. Much success to you! 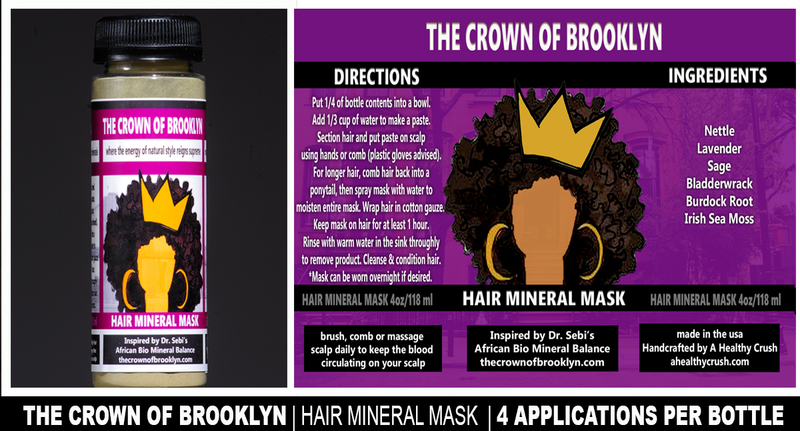 The HAIR MINERAL MASK is a formula of ground wild crafted herbs that aids in the detoxification of the scalp. It will make your head (and often other parts of the body) tingle. It is mineral rich with 92 of the essential minerals that comprise the human body. 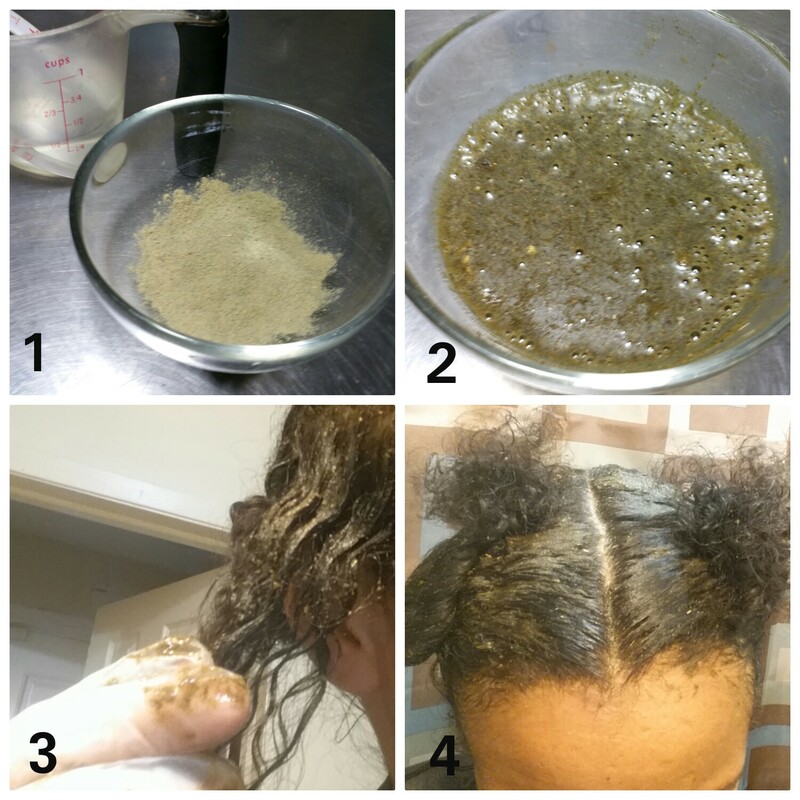 Start with 1/4 of the container contents of the Hair Mineral Mask. It doesn’t matter the length of your hair as this should be applied mainly to the scalp. Mix in 1/3 cup of Spring Water (preferred) to your mixture and stir it up until you have a paste without any dry areas – so make sure you mix it well! Part your hair in 4 equal parts and apply the paste to your scalp using a gloved hand or “dye application brush”. If you are only leaving the mask on for an hour or so, you can leave your hair as is. If you are keeping the product on for longer, you may want to pull the hair back into a ponytail (if its longer) and apply cotton gauze around the head to keep out any dust. The cotton gauze can also be lightly sprayed with a water bottle to keep the mask moist while it remains on your head. TIP | If you would like to add additional moisture to the hair, mash up an avocado and apply to the hair. If you have a little left over mask in your bowl after application, you can use it as a face mask – its a twofer, lol. The HAIR DETOX CLEANSER gently cleanse, detoxifies and conditions the hair. You may be surprised that you can detangle the hair (with your fingers) while using the cleanser. A little goes a long way. 1/4 of the bottle should be enough for most hair lengths. I section my hair again in 4 parts to apply the cleanser. I apply the cleanser by putting a small amount into my hands, then I apply the product to my hair by rubbing a section of my hair between my 2 hands. Be gentle with your hair please. No pulling. After the cleanser is throughout my hair, I like to finger comb my hair to make sure I get out any tangles I may have. I also part my hair in the front based on how I am going to wear it when its dry so that I don’t have to manipulate my hair much more (if I am going to wear it curly). 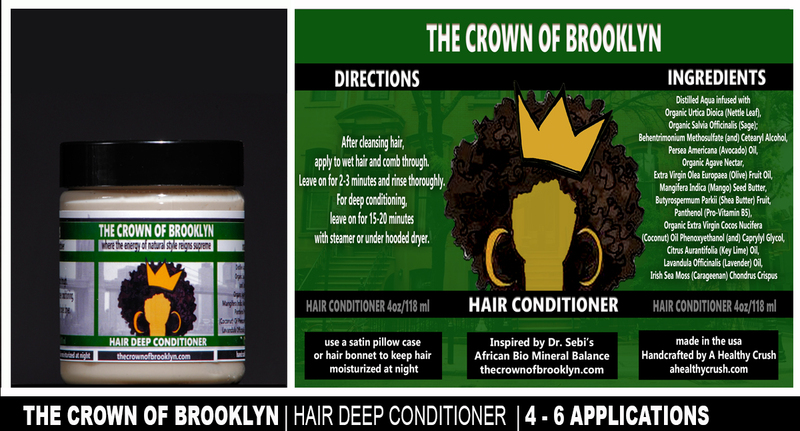 The HAIR DEEP CONDITIONER will give you that silky moisturized feeling that we all love. 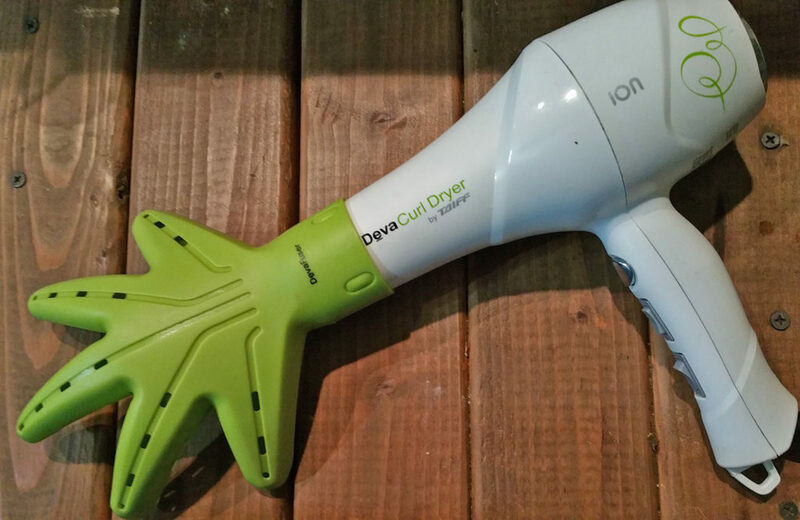 You can apply it and leave it on for a few minutes in the shower or you may want to get under a hooded dryer or steamer for additional conditioning. 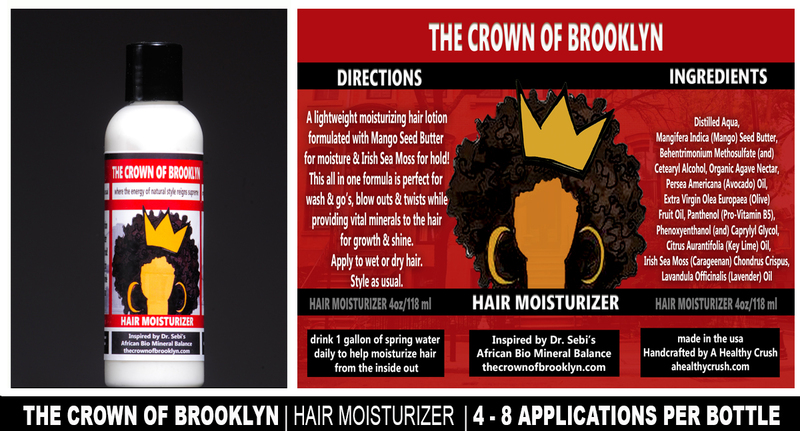 The HAIR MOISTURIZER should be applied right after conditioning (it can also be applied daily on dry hair). Don’t towel dry your hair first! Towel drying often makes hair frizzy. Just squeeze the water out of your hair, or give it a good shake if its a short length. Again, a little goes a long way. I see a lot of tutorials on YouTube where way too much product is used on the hair to compensate for dryness. Hopefully, after using our 3 other products, you won’t feel the need to over do it. I don’t necessarily section my hair out and apply to tons of sections. 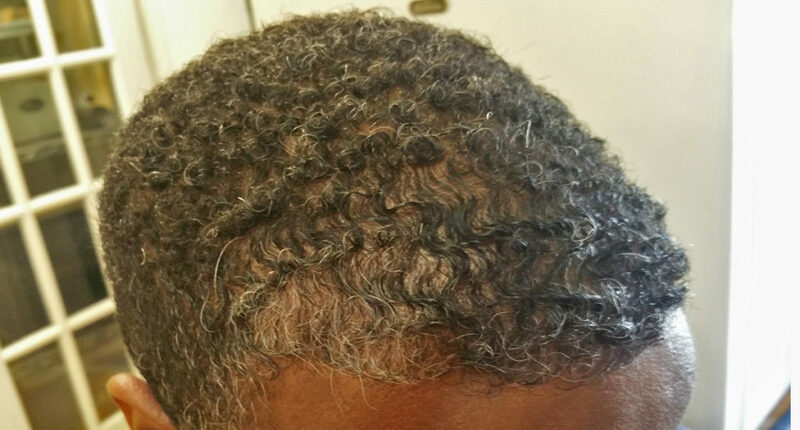 I use the same 4 section approach, (although the front may be parted on the side), and I work the product through without combing it (if I want to wear my hair in a curly style). 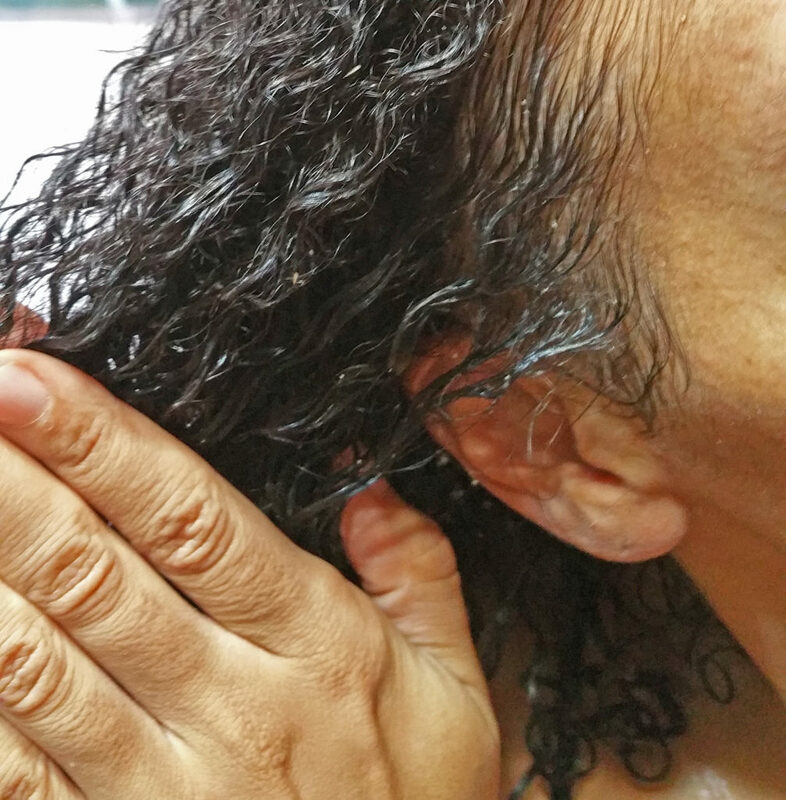 Combing changes how the curl forms and dries. I only use a comb when I am going to blow dry my hair straight or if I am going to wear it in a ponytail. This is my hair in September 2016 and this is my hair May 2017. 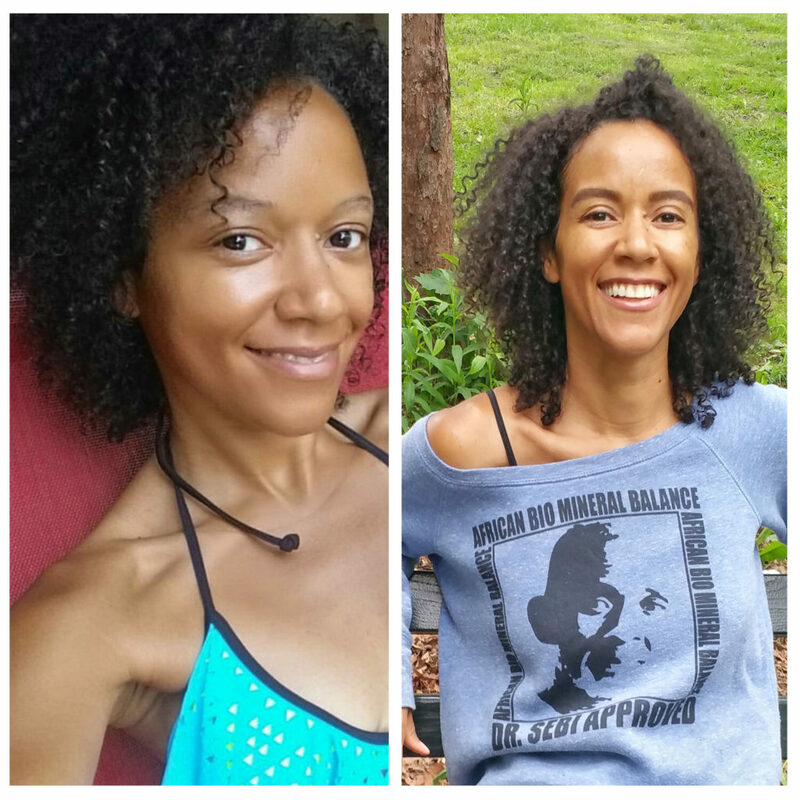 I attribute my hair growth to my products as well as following the African Bio Mineral Balance. If you would like to learn more about it, check out our main website – A HEALTHY CRUSH. I hope this information helps you to get the results you want for your hair type and texture. This kit was designed for all hair types looking to grow healthy hair. Besides, the hair “type” you think you may have may be completely different then what it is when it is detoxified and mineralized. I know mine is! If you love your results, please share them with me on Instagram or Facebook with the hashtag #TheCrownofBrooklyn or @ us at @kellykeelo or @ahealthycrush.